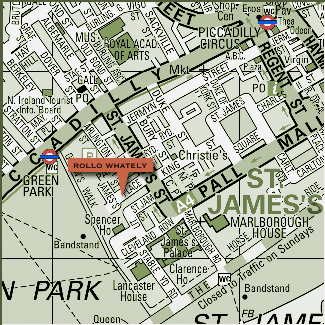 Rollo Whately Ltd. is a small business in central London selling antique and modern picture frames and offering all services associated with the framing of paintings and works on paper. We are located off St James’s Street, close to many picture dealers and restorers of fine art and the auction houses, Christie’s and Sotheby’s. Our clients also include museums here and abroad as well as private individuals. We aim to offer a discreet, high quality service to our customers – quickly and at reasonable prices. Rollo Whately (at the back) has worked with antique picture frames for many years. 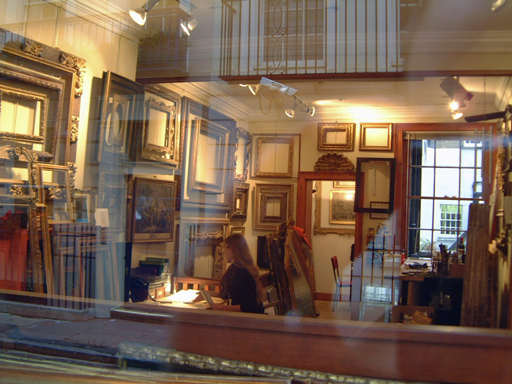 He started the business 22 years ago and has built up a stock of fine antique frames to suit all types of artwork. Rollo still does most of the finishing of reproduction/restored frames himself and much of the fitting of artwork and final checking of work before it is delivered to the client. 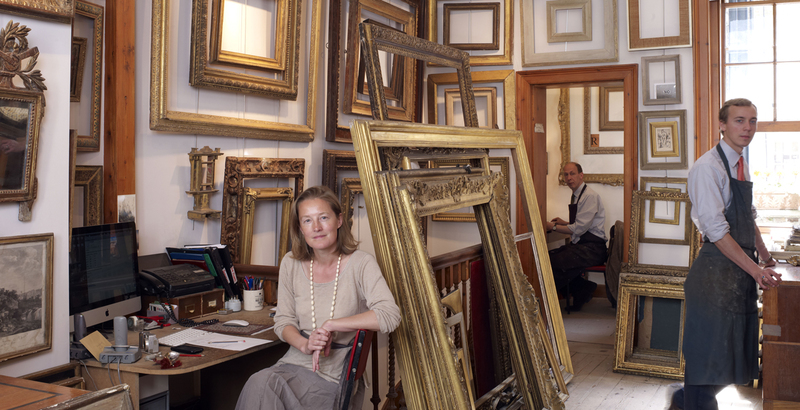 Virginia Brix has been with the company for 20 long and happy years and her knowledge and expertise are an invaluable asset to the business, in particular in the choosing of frames for paintings and drawings. Borys Burrough had left us to do a course in woodcarving, but has now finished that (3 years later) and is back part-time. 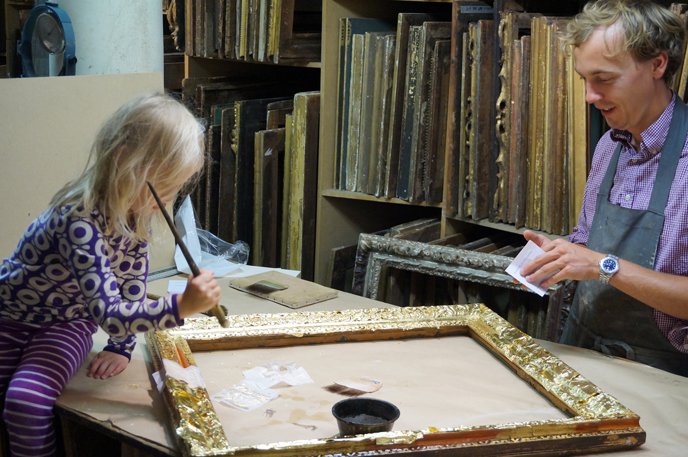 Borys oil-gilding a frame with help from four year old intern. You can find us at 41 St James’s Place, London SW1A 1NS. Please note that all photographs of frames on this website are copyrighted by the owner. If you do use one of them a link/mention would be appreciated. Thank you. By all means telephone us with any enquiries or contact us via the below form. March 12, 2014 Rollo Whately Ltd.